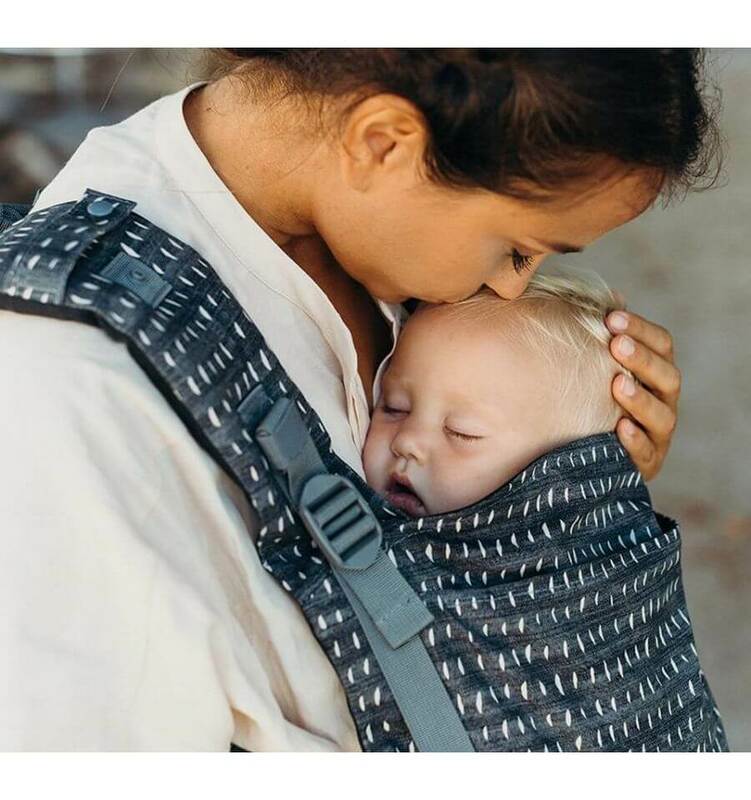 Tula Baby Carrier is the ideal combination for a parent to carry your baby in an ergonomically and comfortable way and when you prefer a modern and trendy appearance. The appearances combined with the provided quality is namely one of the main features of the Tula brand. 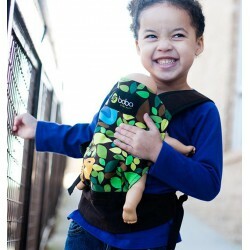 Tula designs carriers for babies and for children that are a bit older. If you want to carry your newborn baby, the Tula Baby Carrier model will be most suitable. The best carrying position for a new-orn baby is the M-position, whereby your child is carried in the so-called frog position. The Tula Baby Carrier can provide this because of the available seat reducer for the smallest babies. You can order this separately and it offers extra support for the neck and the head of your baby. The Tula Baby Carrier can be used for a long time from the birth of your child till it has reached approximately 20 kilos. Namely a special extension piece is available in the shape of Free to Grow. Therefore, older children can also be carried in the M-position. A Tula Carrier offers optimum comfort for parent and child. It will ensure evenly weight distribution over your shoulders, hips and back and therefore you will not suffer from aches and pains. Complaints to the neck, shoulders and back are also prevented by the carrying straps that are wide and padded. The shoulder straps and the hip straps are adjustable so your partner can also carry your baby in the Tula Baby Carrier. The design of the Tula Carrier can be called unique. This does not only apply for the colours and prints that can be found in a large choice in our offer. If you look at the Tula Baby Carrier you will notice the unique design straight away. This gives the baby carriers a stylish and lovely appearance. 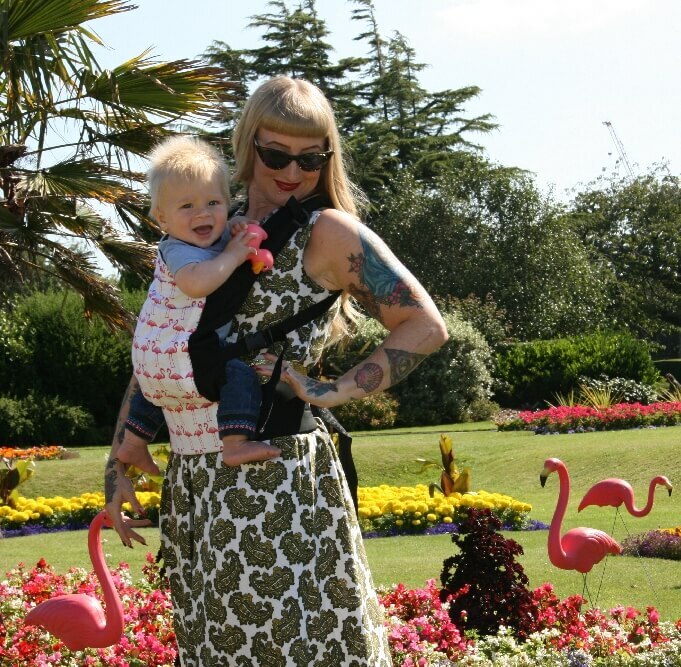 In our offer you have the opportunity to go for Tula Carrier and pick a print or colour that matches your preference. There are images available of all the possible prints and colours so you can get a good impression. De Tula Baby is een ergonomische draagzak die door middel van handige accessoires met je kindje meegroeit. Tula draagzakken zijn verkrijgbaar in allerlei kleuren en designs. Met deze vrolijke Blossom is dragen echt een feestje! De Tula Baby is een ergonomische draagzak die door middel van handige accessoires met je kindje meegroeit. Tula draagzakken zijn verkrijgbaar in allerlei kleuren en designs. Met deze vrolijke French Marigold kun je je kindje helemaal in stijl dragen! De Tula Baby is een ergonomische draagzak die door middel van handige accessoires met je kindje meegroeit. Tula draagzakken zijn verkrijgbaar in allerlei kleuren en designs. Met deze stijlvolle Royal is dragen echt een feestje! De Tula Baby is een ergonomische draagzak die door middel van handige accessoires met je kindje meegroeit. Tula draagzakken zijn verkrijgbaar in allerlei kleuren en designs. Met deze vrolijke StoryTail is dragen echt een feestje!